Historic. Charming. Unique. Stunner. Wide Open Spaces. Once the Jolly Roger Ranchhouse now all the modern amenities have been thoughtfully integrated into this stunning HOME. And it's the kind of home you'll never want to leave. 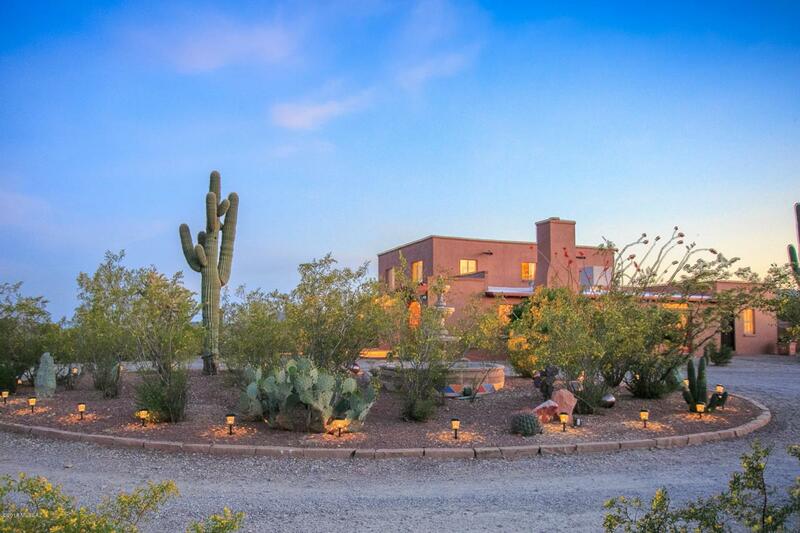 Positioned high on a hill with PANORAMIC (& I mean panoramic) views of mountains, desert & city lights. 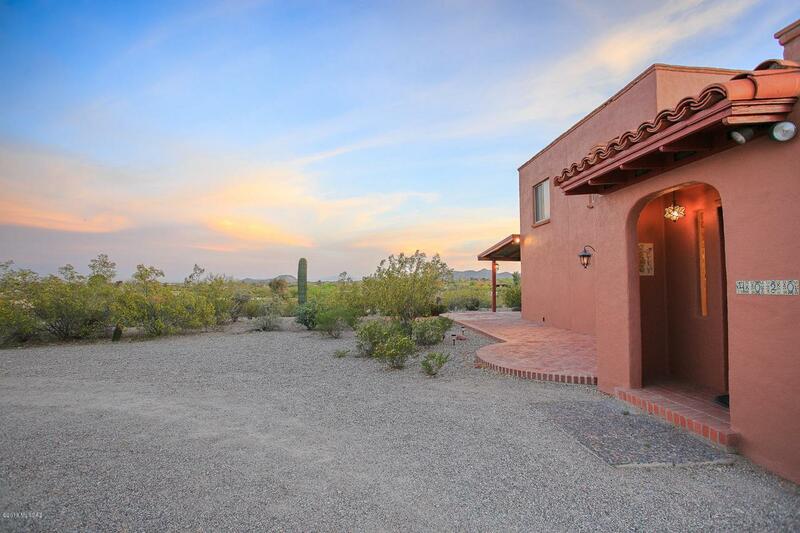 True desert sophistication at it's finest on nearly 4 SUBDIVIDABLE acres close to all the modern conveniences yet far enough away to forget all those modern conveniences! 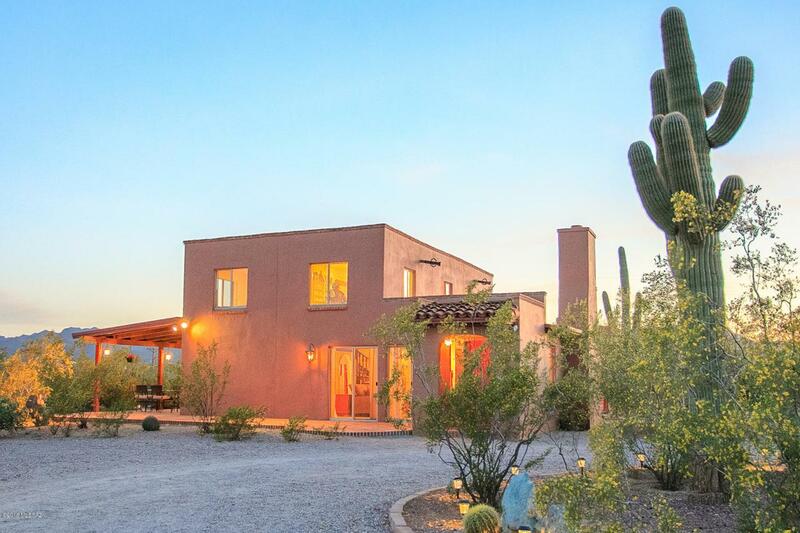 The artfully redesigned kitchen is in concert with the character of the home with beautiful Talavera tile & a Dutch door to the covered patio that yields the most stunning views for your entertaining delight. 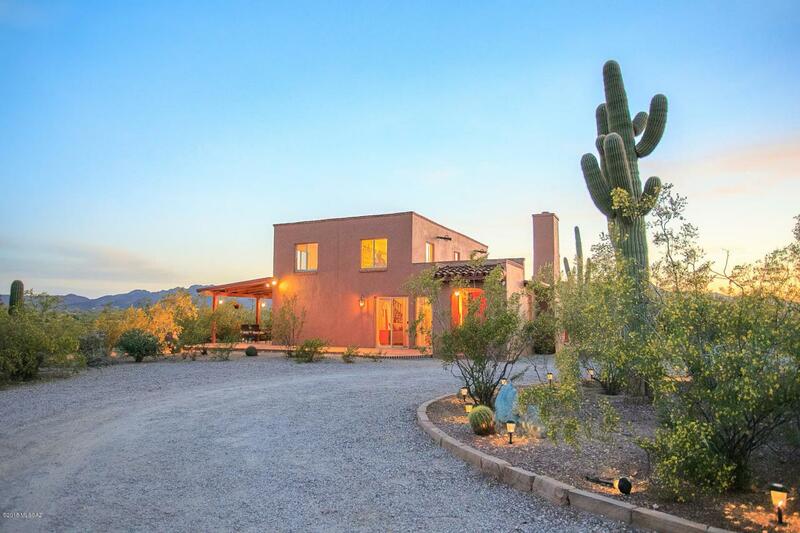 Meticulously restored & an artistically elegant example of true Sonoran desert living!